Industrial quality pneumatic angle grinders for heavy duty use. Pneumatic powered grinders are the best grinders possible for industrial use. If your factory does a lot of grinding, you are wasting your money with anything else. Why are air powered grinders the best solution for industrial grinding applications? Lowest Maintenance = less down time and repair costs because air motors cannot be overloaded, overheated and they are not affected by dust. Deprag's grinders are renouned world wide for their ruggedness and ability to work around the clock with minimal maintenance. We believe and our customers tell us that they are the best on the market in terms of ergonomics, power to weight, repair costs and air consumption. High Powered, egronomic air operated angle grinder. Available early 2016. 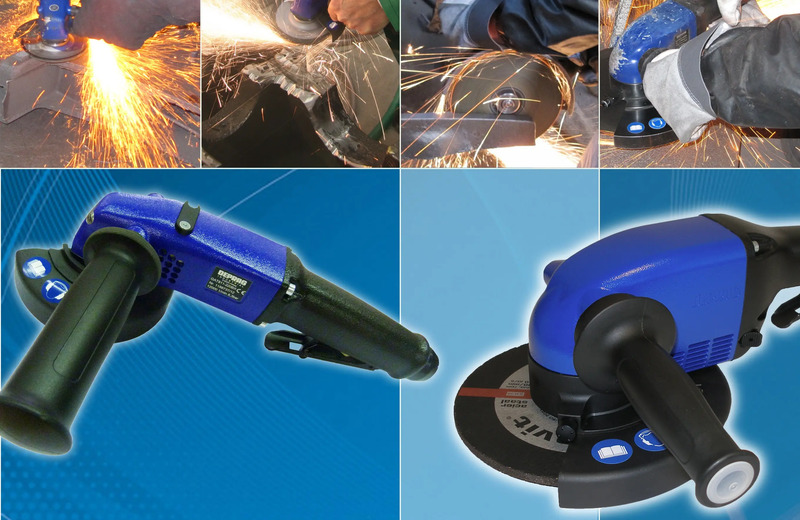 High Powered, ergonomic air operated angle grinder. Available early 2016.